For many vapers, half the fun of vaping is shaking up their vape routine with new brands and products. Here at VaporFi, we love discovering great new brands as much as you do, which is why our huge selection of top brand-name vape products is always growing. RipTide is one of the newest brands to join the VaporFi family, and its impressive reputation made for an exciting debut. Like any brand or product that we introduce to our customers, RipTide was hand-selected for its distinctive combination of quality construction, tech-savvy innovation, and excellent performance. Giving RipTide products the unofficial VaporFi stamp of approval meant that we needed to try their devices and vape juice for ourselves, so we could give customers an honest rundown of what to expect from the brand. RipTide’s stylish lineup of products has piqued serious interest in the vape community, so it came as no surprise when there were plenty of VaporFi team members volunteering to take our new RipTide products for a spin. From starter kit bundles to disposable vape pods, we tested out everything we’ll be offering from this top-notch brand. If you’ve never heard of RipTide before, you may be wondering what exactly sets this brand apart from the crowd. In a booming industry with new names constantly popping up, there’s no shortage of emerging brands trying to make a place for themselves. While many newbie brands fold as quickly as they begin, RipTide is one of the rare names that has proven their serious staying power. 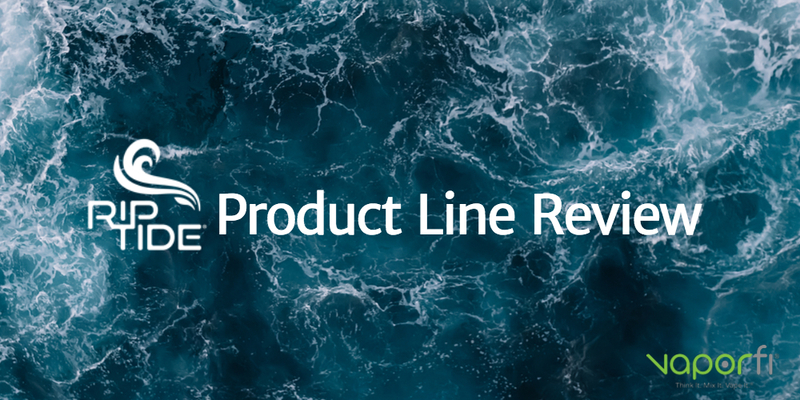 One of the most notable features about the RipTide brand is that its development was a collaborative process between its founders and customers. 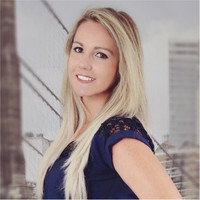 Extensive feedback was collected on an ongoing basis, with the RipTide team constantly asking vapers to discuss exactly what they wanted to see in a new vape product. This valuable insight was combined with cutting-edge design and engineering to create a pod-based vape product lineup unlike anything else on the market. If you’ve ever wished you could find a vape that balanced excellent affordability with convenient but satisfying performance, look no further: RipTide is the brand you want. The RipTide starter kit bundle puts an excellent vape experience in the palm of your hand for less than the cost of a night out, making it an ideal option for vapers on a tight budget. 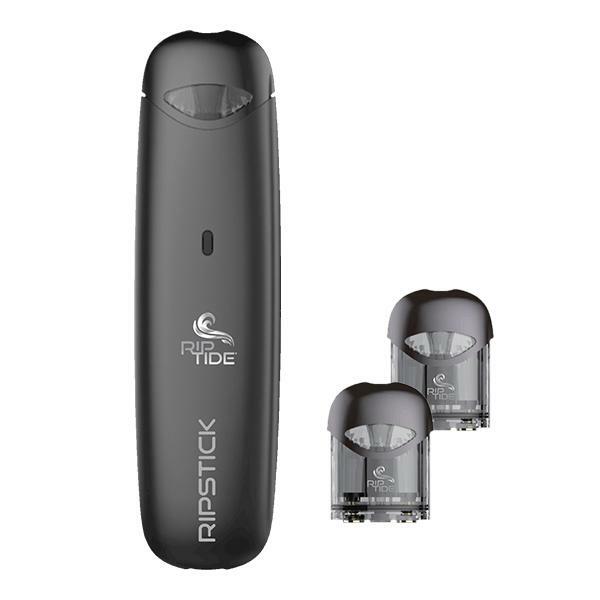 This kit includes both components of the RipTide set-up: the Ripstick vape pod battery and two of the signature disposable vape pods. You’ll also get a USB charging cable for quick and easy charge-ups, ensuring that your Ripstick will be ready to go whenever you are. The Ripstick is designed to be an ultra-compact vape that fits easily in your pocket or purse, perfect for taking on the go and enjoying discreet vape sessions anytime. The sleek design is free of any buttons or designs, sticking with a classic black look for the ultimate in understated elegance. Simply click on a vape juice pod to begin vaping, operating the Ripstick using its simple, draw-activated system. When you purchase the starter kit bundle, you’ll be able to choose from five flavor favorites and customize your preferred nicotine strength. The RipTide Ripstick is a rechargeable, 380mAh battery cell designed to provide a no-frills vape experience that satisfies even the most discerning vaper. Minimalistic, stylish, and featuring draw-activated operation, this affordable black battery kit is an excellent device to have in your vape collection. You can get the battery kit as part of the starter kit bundle or buy it solo if you’d rather mix and match it with one of the great vape pod variety packs. As if its thoughtfully designed Ripstick wasn’t enough, RipTide also went above and beyond the industry standard when the time came to create their vape juice pods. Using their signature NicTech innovation, RipTide has designed a tobacco-free option for vapers searching for a highly satisfying nicotine vape juice. With zero benzoic acid and a draw that promises to be smoother than nicotine salts, each RipTide vape pod delivers 1.4 mL of flavor-packed e-juice. VaporFi offers two sets of variety packs to choose from, each one offering five flavors in either 50mg or 24mg nicotine strength. 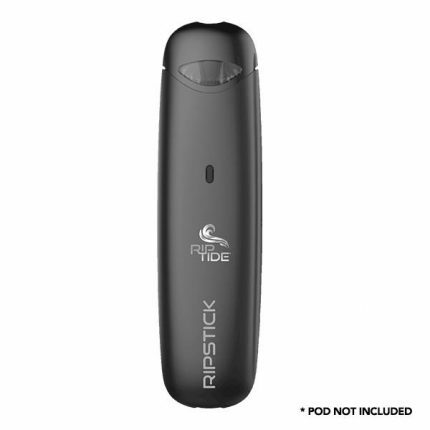 The Riptide Disposable Vape Pod. 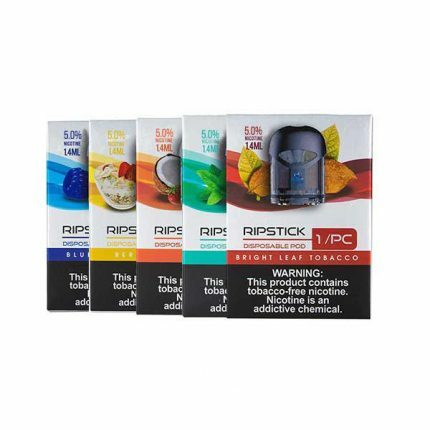 Choose your flavor favorites from a variety of vape pod single packs from RipTide, each one incorporating NicTech technology and impeccable flavor quality. 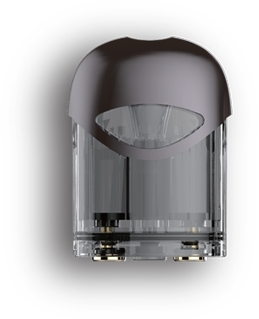 These pods are extremely user-friendly, clicking right onto your Ripstick for convenient refills. Stock up on disposable pods with your choice of 2.4 percent or 5 percent nicotine, with flavor options including Tropical, Mint, Berry Crunch, Blue Raspberry, and Brightleaf Tobacco. Ready to change up your vape game with something new? Or maybe you’ve been on the cutting edge of vape technology for a while, and RipTide is already on your list of favorite brands. Whatever the case, you can now find an excellent selection of RipTide products right here at VaporFi. We offer a great variety of RipTide favorites for sale, including money-saving starter kit bundles, vape pod packs, and more. Whether you’re trying the brand for the first time or stocking up on your longtime RipTide favorites, you can find exactly what you’re looking for here at VaporFi. 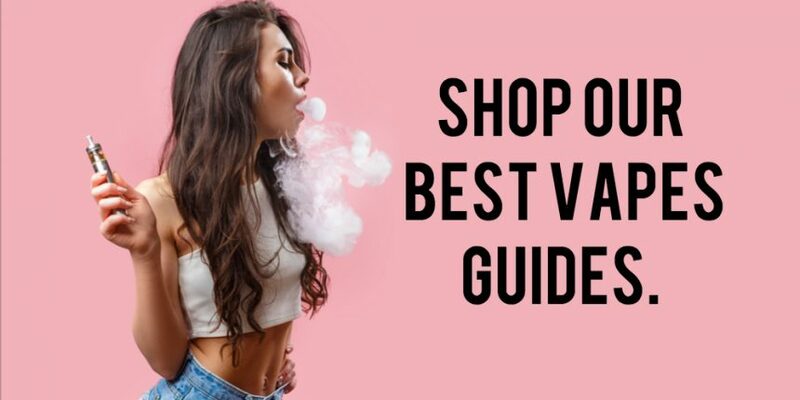 If you’d like to learn more about all the high-quality vape brands and products here at VaporFi, check out our Vape Product Guide or contact us today!